Qantas will axe Dubai from its route map and return to Singapore as the stopover for flights from Sydney to London. From March 25 2018, the flagship QF1/QF2 Sydney-London Airbus A380 service will run via Singapore instead of Dubai, replacing one of the two daily Sydney-Singapore A330 flights. QF1 will depart Sydney at 3.55pm to reach Singapore at 10.25pm, and then continue to London shortly before midnight for a 6.50am arrival. Also from 25 March 2018, the daily Qantas Melbourne-Singapore flight QF35/QF36 will be upgraded to an A380, while QF37/QF38 will shift to a daily A330 service. As previously announced, Qantas' existing Melbourne-Dubai-London service is being replaced by the new Boeing 787 service flying Melbourne-Perth-London. The dramatic changes come as Qantas enters the second five years of its partnership with Emirates. Although describing the first five years of the Qantas-Emirates alliance as "a great success," Qantas Group CEO Alan Joyce said "our partnership has evolved to a point where Qantas no longer needs to fly its own aircraft through Dubai, and that means we can redirect some of our A380 flying into Singapore and meet the strong demand we’re seeing in Asia." In a statement issued to media this morning, Qantas maintained that "customer demand for flights between Australia and Dubai will remain well served by the 77 weekly services that Emirates operates from Adelaide, Brisbane, Melbourne, Perth and Sydney." Qantas abandoned its long-held and popular 'Singapore stopover' to London in April 2013 as part of the airlines' alliance with Emirates. The return of the Airbus A380 onto the Sydney-Singapore-London and Melbourne-Singapore routes will also see first class sold on the legs to and from Singapore, alongside premium economy – which is not featured on the smaller Airbus A330s. Agree, plus BKK would be 2 hours less to LHR. Sad that QF is not strongly represented in BKK. Stunning, really. Sad too that they shuttered the Roo lounge which was a nice oasis, small but quiet w/plenty of light. CX lounge is new, but horrendously overcrowded and noisy. Always the gems are lost. Gone are those good old days for cabin crew to see the cities they fly to. Thanks to advanced technology enabling aircrafts to fly 14 hours more non-stop. Cabin crews now only get enough stopover time to rest and go back on a flight. Bangkok is one of the most popular tourist destinations in the world and it is indeed also popular as a business destination. The Thai eastern seaboard is known as the "Detroit of Asia" because of the large number of automobiles manufactured there, some 200,000 of which are exported to Australia yearly, and growing. As nice a place as Singapore is (and I definitely prefer Changi over Suvarnabhumi as a transit airport), but how can an economy based on the non-productive sectors of banking, finance and insurance justify so many flights from Australia while Thailand, with 900,000 Aussie visitors a year comparatively so few? Years ago when far fewer Aussies were travelling to Thailand, Qantas used to operate routes from Sydney to Bangkok and continuing from there not just to London, but also Rome and Frankfurt. Even Melbourne and Darwin used to have flights to Bangkok, but eventually only Sydney-Bangkok-London remained. Instead, Qantas revved up services from Australia to Singapore, flying from each of the 5 major capital cities (although Perth was axed for a while), despite the huge competition from Singapore Airlines that not only offers better service, a much better network but also more flights on each route they serve. Yes, you would think so. Thailand is hugely popular with Aussie travellers, with close to a million visiting every year. The Aussie embassy in Bangkok is by far the largest and most important in Asia, far exceeding that of Singapore. Thailand is cheaper, most travellers prefer it to Singapore as a holiday and stopover destination, very rarely are there any exceptions to this. Even as a business destination it's gaining traction - Thailand is a major manufacturer of chemicals, light electronics and automobiles and many of these products end up being exported to Australia. By contrast, Singapore makes almost nothing. I have noticed that some European airlines have followed the same trend as Qantas though - British Airways, Lufthansa and Air France have scaled down operations to Bangkok over the years and there doesn't seem to be any good reasons why. The former used to fly onto Sydney from Bangkok, with the other daily flight going through Singapore. Since 2013, they dropped the Bangkok-Sydney service and now only fly London-SIN-SYD. Their London-Singapore services also use larger planes than their London-Bangkok services; Lufthansa operates an A380 on their Frankfurt-Singapore services and also operate a separate Munich-Singapore service. Meanwhile, their Frankfurt-Bangkok service only uses an older A340, while the Munich-Frankfurt service has been dropped altogether years ago, along with Bangkok-KUL and Bangkok-SGN services. Ho Chi Minh is no longer served by Lufthansa at all anymore, while Frankfurt-KUL services are now non-stop. Air France only operates 3 weekly flights to Bangkok compared to Thai's daily A380 flights. This can't all be due to a decrease in passenger numbers. Europeans are continuing to travel to Thailand in large numbers and for the first time, Thai travellers are becoming significant too. THAI is/has opened up new routes such as Bangkok-Brussels and soon Bangkok-Vienna, competing with Austrian Airlines which has been operating the latter route for years now. It must be that European airlines are feeling the pinch of Middle Eastern carriers such as Qatar, Emirates and Etihad, all of which fly to almost every major European city and serve Bangkok with 5-6 flights daily each mostly using A380 aircraft. It was originally Singapore before they changed to Bangkok, then later reverted to Singapore. A move for the better ´Dubai was over before it began! Brilliant news! This will be received well by passengers who, on the whole, enjoyed an Asian stop over much more than the Middle East. Good move, Qantas! When I first saw the heading of this article I had to check the date to make sure it wasn't April Fools Day. Finally! this is going to make another huge difference to the further sucess of this airline! Should go SYD-HKG-LHR to tap the Aus-China market; their 1W friends at CX sound like they sure need help with some through traffic. Oh well; you win some, you lose some. People can still go via DXB if they want (on a QF codeshare flight on EK) - especially if their onward connection is to continental Europe. Exactly. This isn't a return to the QF/BA JV. Emirates is still Qantas' European partner and if you want to fly anywhere other than London, Qantas is now forcing you to fly 100% on EK. No more QF 1/9 to Dubai and then onto Europe. But for those travelling only to London, it's a great move. They are still giving the option to fly QF to SIN or BKK, then connect to EU via HEL on AY. It's a good option if you're looking for good quality J at a keen price and don't mind two stops. Bloody fantastic news. Made my day. What's going on! Management reshuffle and suddenly there are big changes like this! Have they finally put somebody in charge who is actually listening to passengers! Will there be connecting flights from places like Adelaide, Townsville and even Canberra? Didn't think I'd see this for some time into the future! Excellent news, much prefer Changi to Dubai. Great success..?!? For which airline? I think it's been a great success for Emirates who based on this alliance opened up routes to operate over 90 A380 flights a week between Australia and Dubai whereas Qantas operate only 14! Emirates A380 hard products and inflight service offerings beyond superior to Qantas. I think I'd still fly with the airline that offers more bang for the buck! Have to agree. Until QF upgrade J seating and hopefully start serving substantial food...not "small" and "main" plate concept the better. QF cartering has never won any awards officially or otherwise in recent past. Hopefully MEL-SIN is timed to connect with SIN-LHR. Would be great to be able to fly F to LHR on QF metal from MEL still. With separate flight numbers for different legs this would also mean being able to pick and choose which leg to apply for an upgrade on. Looks like a 5 or 6 hour layover if you took QF35 first and connected to QF1. QF37 will have shorter connection but no first. mviy, my thoughts exactly! No one was mentioning this but I felt this was a huge thumbs up for Melbourne pax - now have the option of a brand new B787 J/Y or for those wanting F can still get via one-stop in SIN! Hopefully they re-time it so the connection isn't as long as blingwad has found though. I still think this is the main reason why the A380 is being deployed on MEL-SIN. All in all, sounds like the A380s will be used more efficiently henceforth. Was always scratching my head how they have such long downtimes on either end in LAX and LHR (until at least the MEL-DXB-LHR flight switched things up a while back). Though I guess LAX does have Qantas' maintenance hanger. OMG Qantas is listening to passengers. Pitty because I like Changi airport so much I chose Kris Flyer and Velocity over QF a few years ago. But it will prove very popular with passengers. That is fantastic news. I have not traveled on QF to Europe after they made the change to Dubai. Reverting back to Singapore is a very wise move. That combined with the refurbished A380 business class product will bring my business back to Qantas for long hall and Europe flights. I still think that QF will potentially look at sending a B787 through DXB to a European destination. Interesting times ahead! I'm not so sure, given the number of seats that EK puts on between DXB and Australia every day. YEEEEEES! That is fantastic news. So many great options for Aus travellers. Presumably it will be possible to book the A380 SIN service ex-MEL and link up with QF1 or you can go the PER route. Brilliant by QF. I think this shows QF's long term strategy regarding Europe flights. They are happy to funnel pax who are flying to 'secondary' European cities onto EK flights and keep the 'prestige' passengers for themselves (E.G. putting London bound pax on the MEL-PER-LHR flights and SYD-SIN-LHR flights). I think this adds some merit to the proposed east coast to Europe nonstop services that QF has been recently touting. In the long term, I think we will see the MEL/SYD-LHR flights and potentially, flights such as PER-CDG/FCO/FRA. QF will become less reliant on EK for the more 'desirable' European cities whilst still maintaining the partnership so cities which cannot be served profitably can still be booked on a QF ticket. Exciting times for Qantas and will be interesting to see QF's plans for Europe and the EK partnership. "They are happy to funnel pax who are flying to 'secondary' European cities onto EK flights and keep the 'prestige' passengers for themselves..."
This is the best comment so far in rationally understanding the current & still ongoing QF longhaul mkt strategy in a nutshell. It's exactly the philosophical backbone of AJ's strategy all along to earlier repair and now rebuild QF longhaul profitability+growth. Yay!! Someone else who gets it! This is precisely why the EK partnership was formed. It was always Joyce's plan/vision that once the metal can operate non-stop services to major EU hubs from the east coast, EK will become the codeshare provider for services to secondary EU cities via DXB. Fabulous news now all we need is some QF tin out of BNE. Will definitely go via Sydney in the meantime. You can fly BNE-SIN on QF51 then connect to the new QF1 SIN-LHR. I wonder whether the QF51/QF52 (BNE<>SIN) flight will connect up with the new a380 service in Singapore ? If so, that would be good news at it will finally give BNE folks a path to fly with Qantas International to London without having to travel via SYD. I don't see why they wouldn't connect: even if no changes are made to QF51/52, QF51 gets into SIN well before QF1, and QF52 leaves just after QF2. As QF51 lands 20 minutes after QF35 from MEL I suspect QF1 will be timed to pick up passengers from both enroute to LHR. Similar to how all 3 flights to LAX feed into the JFK flight. I suppose that 5 years of sales data was enough to prove that they should move back to Singapore. With the a330s freed up, I wonder if Perth will get an upgrade and even Adelaide might see a red tail return? We're currently on the phone with Alan Joyce and Gareth Evans, and the short answer for Adelaide-Singapore is 'no', as Adelaide passengers can fly Emirates from Adelaide to London (and Europe) via Dubai, and with Qantas from Adelaide to London via Perth. Qantas has tipped using its newly-spare Airbus A330 jet for further expansion in Asia, although the specific route is yet to be announced. For unknown reasons, I can foresee MEL-PVG by QF long before MEL-BKK by QF.....go figure. upgrade perth to singapore to an A330. YAAAAAAAAY. YAAAAAAAAAY. YAAAAAAAY. !!! Brilliant brilliant brilliant!! This is the best Qantas could make of the onslaught from the ME premium carriers. Emirates remains a compelling partnership because of its frequency, reach and quality. But with the A330 product into Asia up to speed, returning the daily A380 to London out of Singapore makes good use of the asset and existing network. Qantas customers have great choice. Good work Alan. And also Singapore is such a commercial hub of Asia and the SG-LHR-SG route is so important for corporate travel connecting to Australia. Any idea how long it will be until the Qantas booking system will be updated to reflect this announcement? Maybe wishful thinking, but hope they're looking at opening a F lounge in SIN. The flights have been loaded. It already sits there all day. No other way to do it. Not true. The SYD and MEL A380's arrive early morning and early afternoon respectively, allowing both aircraft to stay on the ground for shorter periods of time. It wasn't that long ago that both the SYD and MEL A380s sat on the ground all day in LHR, though. who cares how long they sit there? Yes - the QF1 aircraft which arrives early morning from Sydney turns around to operate QF10 back to Melbourne in the middle of the day, while the QF 9 aircraft is there for the afternoon before returning as QF2. So pulling the QF9/10 A380 services will reduce the A380 utilisation, not the decision for QF1/2 to go via Singapore. The point being that as we know that the MEL - LHR A380 won't exist soon, whether QF routes through DXB or SIN, the plane will need to sit on the ground. Interesting that the Melb flight to line up with QF1 is an A332. Which means for PE all the way through, you have a long transit time in Singapore. @Grannular The A330-300s don't have PY either, so if you want to fly PY the whole way you'll need to have a nice layover on the way out to London, which isn't a bad thing considering there are some very nice things to do in Changi. At the same time, it's a medium-haul day flight (and of the four legs, it's the only one you don't need to try to sleep on), so as long as pricing reflects it, I don't see too much of an issue with that one leg being in Y, as long as all the other three are in PY. Six hour transit in SIN ex MEL if we want to stick with an A380, are they serious? Or am I reading this wrong? No way, Jose! Great news, both for those who want PE seats for a trip to Asia and those who want to go all the way to Europe with QF! Also sends the right messages to our Asian neighbours that we are serious about sharing the economic benefits of Asian growth as a producer and a recipient of Asian tourism. An excellent strategy by QF. Build a solid relationship with EK and provide an extensive European network and keep the QF code on all those flights via DXB. Return the focus to Asia on QF (which I am sure will carry EK codes as well) metal offering full-service competitive product to counter SQ and CX. My predication is we wll see a much closer arrangement along the lines of QF, EK and MH to further extend a full service product further into Asia. Emirates doesn't have the traffic rights to sell codeshares on Qantas' Singapore-London (or Perth-London) flights, so these won't carry EK codes. Skywards members can still book these legs as reward flights using Skywards miles, however. Add my vote to the "hooray's"!! While I do understand why people prefer SIN as a stopover to DXB, I see this as a downgrade of service for those who travel to Singapore for business. First, the A380 is a downgrade in business class hard product. While Qantas do plan on upgrading the A380's this wont be fully complete until two and a half to three years after this rerouting starts. Secondly, I travel to Singapore from Sydney (J class) 10-12 times a year with most of my tickets bought in the week before I travel. People travelling to Europe tend to purchase tickets further in advance than those travelling to Asia. So there will be less availability of J class tickets for those solely going to Singapore, thus increasing the price. The second Sydney – Singapore daily service will continue to be operated by an A330 aircraft. If you want to fly the business suite you can fly the business suite. I believe the QF A330 provides the best business hard product between Australia and Sinagpore but for me the schedule of flights is the most significant factor (of course cost is a factor) when choosing a flight. I try to maximise my working time and family time so generally travel in the evening and over night. I tend not to use QF81/82 unless there is a large disparity in the price of this flight. JTG imo the A380 is a much better plane to fly on than the A330/787. So long as the pricing and points/status credits earn is good I expect I'll choose to fly MEL-SIN-LHR return on the A380. I may be in the minority but had no issues going through Dubai. The lounges there were perfectly good and a nice break to the journey. Singapore in fact meets my business needs better so not unhappy with the change. Thanks Jf80 for the update. Interesting that for Melbourne based passengers, if you want to catch the A380 all the way to LHR and if you can afford to/redeem points to fly in F, the only way to do it is with a 6 hour stop in SIN (QF35/QF1). The better connection in SIN (1hr 30) is QF37 but that's on the 332. I wonder if they may change to 380 on QF37 eventually, or does this not work for aircraft utilisation? Ideally, you'd have the A380 from MEL connect tightly to QF1/2, but you can't do that because QF2 leaves SIN for SYD before QF1 arrives in SIN from SYD, which makes it impossible as QF36 (connecting off QF2) leaves SIN before QF37 (connecting to QF1) arrives. And imagine how cosy the SIN lounge would be with 3 a380s of passengers! Will the MEL services connect with QF 1/2? The idea of having to fly on the 787 is a shocker so hopefully we can get through connex on A380. Could take a little while before the option to connect in SIN departing MEL show up though. I think QF converted SYD-DXB-LHR to SYD-SIN-LHR quickly and will deal with things like MEL-SIN connections to SIN-LHR over the coming days. Loads will be a factor. Say 5 passengers book F from SYD-SIN, but not onto LHR one would think that QF would love to fill those 5 seats from SIN-LHR with paying passengers from MEL rather than with upgrades. Would love to see A380 all the way from Melbourne. But maybe it's too big as if it's full and the Sydney one is full too there would not be enough seats to get everyone to London. Yes that is a downside. Hopefully that gets addressed but it doesn't sound likely at this stage. The SIN JCL is a fantastic lounge, but there's no way it'll cope with this volume of premium passengers; one hopes an F lounge will be established off the back of the capacity requirement, but we'll see! Technically it's not a J or F lounge, it's The Qantas Singapore Lounge. It's designed for all cabins and status holders that are eligible to access it. A combined lounge is vastly inferior for First Class passengers compared with the First lounges in MEL and SYD. If they're going to fly a lot of First class passengers to/from SIN then they should provide a First Class lounge. There's no first class lounge in LHR end either - I am sure we will survive. In London you can use the CX FLounge or the BA FLounge. The SIN routing means that a QF FLounge would add much more value than if the flights were via HKG. While I appreciate an A380 to Singapore, and that Changi is a far superior airport to Dubai, I will continue to fly through the Middle East on trips to Europe. I like getting off the long haul flight to Dubai/Abu Dhabi/Doha and knowing that I've only got, at most, 6 hours to my final destination instead of transiting in Asia and knowing I'm not even halfway there after one long haul flight. And my final destination is never London, so there's that too. Haha yes, but doesn't bother me. Flights from Europe to the Middle East are basically regional flights, so being able to get off, and then get on the return flight ready to sleep is fine with me. The other thing is if I was to fly via Singapore, Qantas wouldn't be my pick - Singapore Airlines has a much wider range of connections I could fly direct to, usually at lower price and comparable product. Do both! Codeshares should mean you can go Dubai one way and Singapore home! Indeed, always nice to have options! These 'daylight' flights where you have a stop-over during the local sleeping time (in this case in Dubai) and arrive at your destination in the afternoon (when hotel check-in is available) have been a huge draw for me and I've paid a premium for them. But with these new arrangements it seems all Qantas flights will arrive early morning in LHR and any stop-overs will be far removed from the GMT time zone. Whilst I'd like an evening departure out of MEL and evening arrival back into MEL, I would much prefer a stopover in SIN than DXB regardless of the time of day of the stopover. It'll be interesting to see whether Melbourne customers heading to London prefer to transit through Singapore or Perth. My bet is Singapore. I for one would prefer to go via SIN. Flights would have to have better timing going via PER, a much better price or be the only option for award seats for me to consider it, I think. I love flying the A380 and with QF pulling out of MEL-DXB-LHR I thought my days of flying the QF A380 were numbered. Now, I think I'll be flying on the QF A380 for years to come. I wonder what services there will be for first class passengers? I.E. first class lounge? It would be nice to see a new QF First Class lounge in SIN but the trend these days is for QF to move to combined lounges as they've done in BNE. If QF doesn't address the lounge situation in SIN I expect they'll get a lot of complaints about overcrowding with all the extra capacity going in. One would expect its likely that one off lounge invitations won't get accepted in SIN because of the crowding. Great news for MEL! Here we were thinking QF was ready to abandon F from us altogether haha. Great news! Now we can fly BDB-BNE-SIN-LHR, all on QF metal, instead of having to go via MEL or SYD. Less QFF pts & SC, but we get to avoid SYD. Any plans for qf A380 out of BNE? I very much doubt it. BNE will become a B787 hub for QF in addition to the A330's currently flying. I wonder how this will affect the loads on the PER-LHR services. Now passengers have one stop to LHR via SIN from MEL,SYD,BNE (and PER), all on QF metal. Great news, by qf! However has the over all capacity into LHR Been striped back? Also, the QF commitment to premium economy is only on large jets and the upcoming 787. Is there a reason for this? Temporarily yes, with one service reduced from A380 to B787 but with the A350s coming and one or two A380s with route capacity, that may not be for long. Or that capacity could switch to alternate EU routes via PER or SIN or even direct if the ULR A350 comes to the party. Exciting possibilites ahead. "..but with the A350s coming..."
'Coming'? Wow, this 1 is totally out of the blue.....I didn't know AJ has already decided on which type to buy for QF let alone a known delivery date. Amazing insight into QF fleet planning status. Great news, much as I like the 1st class Dubai experience I enjoy the QF lounge in Singapore as the staff were great, hope they still remember me! It's good to see Qantas' long term plans coming together. Without new confirmed orders, with what is already coming and what is known to be leaving, I don't see much in the way of new routes. There must be some more re-timing coming. BNE pax should be able to have a faster outbound connection to LHR via either SIN or PER, but at the moment the fastest options still go via SYD or MEL. QF651 with its current 1115 departure ex BNE should be pushed back 2.5hrs to enable a better connection onto the LHR service. It should also get upgauged to the 332 to ensure lie flat business. Simarly on the return leg, the domestic connection should be brought forward an hour an a half to help facilitate faster transfers through PER. In fact, the timings from ADL and CBR should also be looked at to PER in order to facilitate better connections. Especially ADL as currently there is a 2.5hr stop in PER and the flight over there is on a Y class 717! Wonderful news and hopefully it's a long time before Singapore becomes redundant due to the ULR planes being introduced in the fleet. Is this an admission by Joyce that the Dubai strategy and subsequent tie up with Emirates wasn't all it was sold to us as? I think that has to be a conclusion of sorts as the 'partnership' itself hasn't fundamentally changed since it's creation. Perhaps Qantas is enough in the black again to not rely so much on Emirates. Either way it's still great news and the only thing missing now is for those in Adelaide, or Darwin, to have a Singapore stopover whilst still flying Qantas all the way. Jetstar just doesn't cut it from Darwin. This was unexpected, but seems to be a good business decision. Give premium passengers the choice of flying to London via Singapore or Perth, presumedly being higher yield pax, and passengers who have other destinations within europe to Connect with EK (presumedly more leisure cost conscience pax). The one thing that i can't quite seem to line up in this "Asian" strategy is a strategic partner which is based out of Singapore? It definitely isn't SQ, and with the new norm flying Hub to Hub , will Qantas try to find a partner to funnel pax onto other parts of Asia, or will they expand with more flights flying direct to destinations in Asia? If i was flying to parts of asia for leisure or business, i'd definitely choose to fly direct with QF, rather than transiting singapore onto another carrier...(and don't even get me started with connections onto JQ). The spare A330 may be used to start a route from Brisbane, as a rumour is known that they may be crunching the numbers on a new route from BNE by end of this year, early next year. Hopefully this rumour is true and BNE get an additional A330 international service! They are running a seasonal SYD-KIX early next year. Likely using an A330 freed up by domestic 787 flying between MEL-LAX runs (the KIX flights start after arrival of 3rd 787 and end when PER-LHR starts). If those KIX flights prove successful, it's possible any spare A330 from these changes will be used for a full time KIX route. Good to see QF bring back Singapore as the stopover point for Sydney-London flights. Wowee! Made my day feel happy! Melbourne to Seoul with the spare A330? They would be the only carrier on the route. Yes and for a good reason. Route clearly isn't viable otherwise there would already be a service. Great news! Much prefer to stopover in Singapore. No surprise re many folks here all believe this new QF move re Kangaroo route stopover relocation has to be all about 'QF finally listening to pax(or more accurately, ausbt.com.au readers') preference' for QF to abandon the DXB/EK hell hole and re-embrace the SIN heaven. 1. Transfer all current QF flyings via DXB to EK so we can eliminate all of our current Kangaroo route/capacity duplication over DXB and improve load factor/network efficiency. 2. We can expand our JV mkt footprint(e.g. frequency & connectivity) if QF Kangaroo ops return to SIN stopover to reinforce BOTH existing QF AND EK networks to/fm SIN...e.g. becomes possible for BNE/MEL-SIN by EK(In addition to the same by QF) to connect with SIN-LHR by QF. 3. EK is running into a bit of problem lately re decreasing profitability and worst of all, over-capacity/reducing load factor elsewhere in our network(e.g. U.S.). We need to find more new work for our legions of giant 380 & 77W so pls help by letting us do all flying to/fm DXB in our JV. I think you're ignoring the fact that most people don't actually mind why it has been done, they're just happy it has happened. Logic suggests there is an element of QF realising consumers commonly prefer SIN. "Logic suggests there is an element of QF realising consumers commonly prefer SIN." FLX1, I maybe the exception to your rule here. I much prefer DFW (17hrs) over LAX (14hrs) if going to the US East Coast. I will certainly use QF10 London to Perth coming back as it has a perfect connection ot Canberra. Going CNB-LHR it can be either QF9 or QF2 but maybe QF2 becus it is an A380. FLX 1 a completely unremarkable observation. To that add the fact Dubai is stretched at the seams while Singapore is looking for more business and probably offered a very good price to get two A380s a day to come by, while a single via Dubai flight would very inefficient. Passenger preference comes into it but not a lot. It is the nature of a hub and efficiencies from it. The efficiencies of Dubai have shifted now to Singapore. I hope we will still be able to get QF Classic Rewards on EK DXB-LHR vv. I have used 3 in F this year, there is always lots of availability even only a few days out. Will now really love my trips Adl-Syd-sin-Lhr. Not sure why you are all excited about QF changing back to go via singapore. when they originaly changed via Dubai i switched from QF to SQ and found SQ so far superior than QF i will never fly QF again you cannot beat SQ or Changi. I typically fly both QF and SQ and I like the difference between the two, they are both my favourite airlines. I enjoy the best of both....But boy am I rippin' happy to see QF A380 army right back where it always belonged SYD/MEL SIN LON !!!! Great news. Just found out because return flight has changed. Wish it was starting earlier for outward flight in December. Singapore lounge is so much better than Emirates in Dubai. "...you cannot beat SQ or Changi." 1. Others can beat the high prices of SQ and/or @ the SIN connecting hub. 2. By-pass SIN or similar hubs altogether and go nonstop to/fm wherever. 3. For Trans-Pcf travel, SQ and/or SIN offer far less efficient transport than AU/NZ, N.American and a range of N.E.Asian carries+hubs. QF site is a little vague about whether Qantas Club member access remains at DXB. Hoping this is maintained, and also that the AY code-share also remains. Both quite useful when using QF for the smaller European ports. If it is it would only be if you are on a QF flight number. Chances are QF Club access at Dubai will end. 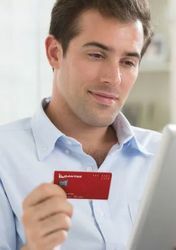 Generally, Qantas Club members get access to the same partner lounge as Business Class travelers at airports where Qantas flies their own metal and when the member is booked on a QF flight number. When Qantas pulls out of Dubai they'll no longer fly their own aircraft to Dubai and hence I think it'll end. Obviously, there are some exceptions to which lounges and when QF club members can access lounges but for the most part it only seems to be at airports where Qantas operates to/from. Lounge wise it makes sense as well. It's my understanding that Qantas pay Emirates a fee for every status/premium passenger on each QF operated service. By switching to Singapore they operate their own lounge. It seems Qantas have had a few issues with lounge fees lately. QC members have been switched from the AA to CX lounge at Heathrow and meanwhile rumors had it BA was charging QF up to $200 per person visiting the BA first class lounge. I guess using their own facilities really makes sense when you look at it that way. Another positive reaction here. I can start flying QF to London again! Also looking forward to the F refresh on the 388. At least DXB doesn't have the hideous carpet, low ceilings and ridiculous at-the-gate security that causes a huge bottleneck at boarding. I think SIN is the most over-rated airport in the world. I avoid it like the plague! "our partnership has evolved to a point where Qantas no longer needs to fly its own aircraft through Dubai..."
Normally airline partnerships would evolve to a point where you start flying to the hub of a partner e.g. AA operating LAXSYD. Q. Would Qantas rather carry a customer all the way to London then disperse on a partner, or sell the same customer all the way on EK? This was a marriage of convenience that has become a little inconvenient now that QF has its mojo back. Provided the QF business class is the upgraded version BNE/SIN/LHR I'll be happy with the A330/A380 arrangement. Up to now I've avoided QF as I want an individual seat, not one shared with a stranger. I've also avoided BA because of their poor record on terminal mechanical issues and ongoing strike risks. All QF need to do now is have a website that thinks logically and works properly. It tries the patience of a saint compared to rivals. The A330 has the upgraded Business Class, I think. The A380 won't be refurbished for a while yet. The refurbishment starts mid-2019. On the current A380 (currently 2-2-2 configuration, will be 1-2-1 after refresh) configuration if you have a centre aisle seat you don't have to climb over anyone to get out and if flying on a cash ticket you can request a points upgrade to First. For those wondering, I suspect that the 6 hour wait in SIN for an all-A380 MEL-SIN-LHR connection will remain, as if it were moved to the later MEL-SIN flight the A380 would not make it back to MEL the next morning in time to perform MEL-LAX (keeping in mind that SIN and LAX are the only QF A380 destinations out of MEL). I wouldn't hold your breath for this to change either, as I can't see them comprimising MEL-LAX just to provide a better connection to LHR over SIN when QF clearly want their MEL-LHR passengers to fly over PER. Speak the later A330 is the direct connection flight to QF2 so there is no hanging around. The A380 is for Singapore and other Asia connections. Would rather get the A380 and hang around if that's an option QF allows. Much prefer flying on the A380 and on a larger plane there's a better chance of upgrades. Meanwhile Perth Sing flyers get the aging 737's! Appalling discrimination and will keep flyign SQ till QF put A330's on this route. Good move by QF! Care factor.....zero on missing out on a Dubai! SIN is dullsvile compared with HKG. I’m sorry but I simply prefer Cathay. I Skype any Cathay landline number and they don’t charge for a human to help unlike QF. They accept any currency at the exchange rate of the day. I am a OneWorld member and all my miles go to QF as I don’t want them broken down to the different/respective airlines. The last time I flew QF was MEL-AKL. I made the booking after which they changed the schedules to a choice of 2 of the most un-Godly hours. I seriously considered using Air New Zealand for this sensibly timed sector at a whopping extra J Class cost of AUD$950.00+/-. As an Australian, I want to be overseas when going overseas ASAP. Qantas delays that enjoyment. Well it's lucky you have a choice to choose whichever airline and city you like. Competition is great isn't it? Hello - forgive my ignorance, but why wouldnt the return leg depart London at, say, 3pm, and with a quick re-fuel in Singapore, would arrive in Sydney just before the 11pm curfew. Better aircraft utilisation and business passengers could (almost) get a full days work in London and make it home late at night rather than first thing the next morning? The problem with that is that if the plane is late they could get to Australia too late to land before the curfew. It would also mean having an A380 on the ground for a long time in Australia. A late evening arrival works a lot better flying the A380 to MEL. Sadly QF9 won't be on the A380 from late March next year so that option is lost. The other issue is that this doesn't connect to all the existing evening departures out of Singapore for Australia; while a return to QF32's timings (leaving LHR in the late morning, stopping in SIN the following morning, arriving in SYD that evening) would be great, it would require a total rewrite of the SIN schedule. Slots at LHR are as scarce as hens' teeth. QF have pretty limited options about timing at LHR. LHR is slot controlled, and unlike most other slot controlled airports, LHR slots are paid for airline assets with some slots, depending on their times, having been sold for millions per slot. Qantas owns 4 slot pairs at LHR. They use 2 for their current services and lease the other 2 to BA. They are 2x morning arrival, 2x lunch time departure, 2x lunch time arrival and 2x evening departure. Qantas scheduling need to account for the LHR slot times, the flight time back to AU and in the case of some AU airports (like SYD), curfews. Chris what happens to F and Plat/Plat 1 pax in SIN now lounge wise. Are they still forced to use the shared QF 'pub' (in every sense of the word)? Does BA lounge remain an option for QF F / plat pax....do they have a seperate F lounge in Changi? Who exactly will QF partner with out of SIN considering this is a further targeted move into Asia...jetstar Asia or.....? Lounge access in Singapore will follow the current rules. Qantas partners with Jetstar Asia and Finnair out of Singapore, plus its other Oneworld partners. Looks like one can easily get Business on the MEL A380 to SIN connecting to SIN-LHR, but coming home there doesn't seem to be any discount Business available on the dates I've looked at flying LHR to SIN connecting to the A380 flying SIN to MEL which is pretty disappointing. So may end up needing to do MEL-SIN-LHR-SIN-SYD-MEL to get best value flying to LHR via SIN on QF even though the stop in SYD on the way back is a bit of a nuisance with the bus transfer experience between the international and domestic terminals. If we book Qantas (but fly code-share Emirates) will there be any change to the status points etc? I wonder if the MEL - SIN flight will connect with the SIN-LHR? It will. You can see the option when you book. However if you want the A380 for MEL-SIN you'll need a 6 hour stop in SIN. On the way to LHR the A330 has the better connection timing. I'll probably go on the A380 service. With the flight back to Australia. I can't find Business Sale seats connecting from QF2 to the A380 service from SIN-MEL (the connection time is good) on any of the dates I've searched. So MEL-SIN-LHR-SIN-MEL on the A380 costs about $1,000 more than MEL-SIN-LHR-PER-MEL or MEL-SIN-LHR-SIN-SYD-MEL. Interestingly the BNE-SIN-LHR gets you less than half the status credits than BNE-PER-LHR. I don't think QF has added the points and SCs to their calculations for the SIN-LHR leg yet. Look at just BNE-SIN and you'll probably find the earn rate is showing the same as for BNE-SIN-LHR. It'll be fixed, the question is when. ADL based, hoping for QF ADL-SIN and more options to LHR. The EK 777s are tired and the seats are hard. Then there's the tarmac bus ride in Dubai. That said, I won't look forward to the 737 PER-ADL after 17 hours in from LHR on QF9. May still use EK to get to CDG and the rest of Europe in one stop. I like SQ but I'm locked into OW and QF. Hope ADL is next for that A330! Praise the Lord, I'm going to throw a party. There are other routes that some would like reinstated from MEL too e.g. MEL-SFO. However for MEL-SFO you would obviously want a larger plane than an A330. More fundamentally for MEL-SFO, QF would obviously require a type with sufficient payload/range performance that's actually capable to fly that route well beyond the limits of their 330s. There's a tech reason QF hv never deployed 332(333 would be even more hopeless) on AU-U.S. nonstop which has nothing to do with 330 being smaller than other QF longhaul types. The closest QF had tried some yrs ago with 332 for Trans-Pcf was AKL-LAX. No variant in the 330 family has the kinda payload/range required for SFO->MEL except the 330-800Neo(barely though) theoretically still in development but will probably be cancelled by Airbus in reality due to extremely poor sales....totally 6 firm orders achieved 3yrs since 330Neo program launch. I never understood why Darwin couldn't be a hub. You can now reach Europe from it and most planes fly over it anyway. Surely having an Austrlian port has its benefits? The answer to that would be because Darwin doesn't have the passenger capacity to justify as a hub. As a hub the airline is hoping to get the passenger load on vacant seats both for empty seats going into the hub or vacated seats as passengers disembarking at the hub and not going onward with the aircraft's final destination. This would be one reason that sectors MEL-SIN and SIN-MEL will operate on smaller aircraft so that passengers going on to LHR will join the A380 and fill up these seats. In the case of Darwin hub, it loses out to PER. Which will be used for the MEL-PER-LHR in the new B787. "..because Darwin doesn't have the passenger capacity to justify as a hub." Exactly. In airline industry terms, insufficient critical mass of traffic @ DRW as an Origin/Destination(a.k.a. OD traffic). Unlike DRW, it's far easier to develop PER as a longhaul gateway because it is already a big QF domestic Origin/Destination in terms of connectivity, frequency and absolute pax volume(#4 in the nation if I remember correctly). To build a new longhaul gateway/hub, QF can leverage many op infrastructures+staff resources already in place @ PER but not @ DRW. Whilst i applaud the change how can abandoning most of your market to another carrier be good business? SInce the dubai change i have had to fly several other airlines that are infinitely better than qantas eg Singapore, now i prefer them, for a start they serve real food, not th eneil perry nonsense. Joyce is and always will be a dill of the highest order. I've done some calculations and based on a full capacity of the A380, the total airfare of EY class seats is about another 50% more to that of the total J class. Therefore with that, I feel some service improvements should be considered for EY class for QF. I have been avoiding flying QF ever since my 2006 HKG-PER which was the most uncomfortable ever. Plus the cabin crew doesn't seem to care much. However I had to go QF in 2016 for MEL-LAX-MEL, and was hoping for things to be better. Nope, not much improvement. Out of the 4 meals, only 1 was ok. Despite the marketing of larger meals, it just doesn't cut it, and was inedible. Breakfast's scrambled eggs was like mash potatoes. Wrote in with a complaint "No point for larger meal when it's inedible, and it means more wastage..."
When I asked the cabin crew about no warm towels being handed out, the reason given was that it's unhealthy for the crew to handle. Seems like a win-win for QF and crew. Cost savings and less work. While EK and SQ, and some other airlines still serves warm towels. What more F and J class still get their warm towels, so what part of "unhealthy" doesn't apply to these classes here? I used to be very proud of QF, but not anymore and somewhat feel embarrassed that out flying kangaroo is no longer up to the standards of the elite top airlines. I am ever hopeful in hoping that QF will come out of its rut and shine with flying colours in all aspects of its services. And a competitive airfare pricing. I know that there are good and bad experiences by varied passengers, but QF should strive for more consistency that's rated highly and at a good commendable service and product. Still waiting..... to be a proud QF customer again. The proposed reinstating QF1 & QF2 via East Asia is great. A few days stopover in any of these cities SIN, KUL, BKK, or HKG is a better option. Just hope that this will be a sign of more good flight routes by QF. To me the company lose most of its passengers to other airlines was due to its airfare and inflight service combination, where it couldn't match other airlines. Passengers are happy to pay a budget airline fare for the type of expected service. But not when paying a lot more and yet get substandard service comparing to other premium airlines. When flying in F or J class, the service is definetely much better compared to EY. So when a certain route is deemed unprofitable, I'm quite sure it's not based mainly on the number of F and J class capacity load. QF, please have a heart for the EY passengers. Questions now - when QF started EK partnership and started flying via DXB QF stopped its frankfurt QF5 too and said QF is trasfering majority of the european traffic on to EK via DXB. So now what is going to happen to those QF customers who wants to get to other european cities except London. QF going back to Singapore is history coming back. SIN was there even before BKK. Good old days with B747's QF went SYD/SIN/BAH/LON Then SYD/SIN/LON as SIN has been a major hub For QF for a long time than BKK. Even though Qantas is moving back to Singapore they are still keeping their partnership with EK. So your choice will be to still fly via Dubai but just on EK metal codeshare with QF, or go via Singapore and London, and possibly another OneWorld alliance connection. Yesss.!! Out with the Cold Bling buildings and back with the Warm Legendary Asian service at Changi. 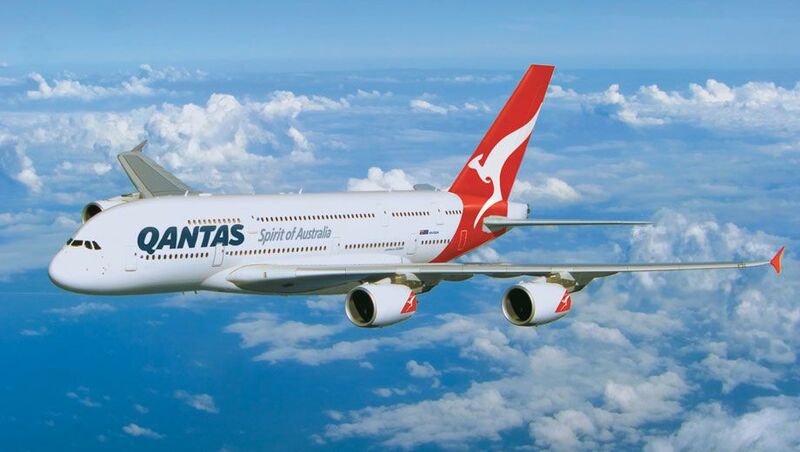 Comment on "Qantas ditches Dubai, returns A380 to Sydney-Singapore-London"